INDMUSIC helps independent music content creators monetize their YouTube views without sacrificing creative control or rights to their content. Current Channel Partners include Decon, Mad Decent, IAMSOUND, okayplayer, Baeble Music, Brendan Benson, and ClaraCMusic. INDMUSIC most recently pioneered monetizing viral media in real time for Baauer’s “Harlem Shake” with Mad Decent, resulting in five weeks at the number one spot on the Billboard Hot 100 and over 1.2 billion views on YouTube. Brandon Martinez founded INDMUSIC in 2011 with Jon Baltz (VP, Administration), Allen Debevoise (CEO, Machinima), and Guy Oseary (Partner, Untitled Entertainment). Previously, Martinez was the Head of Digital Media at Abrams Artists Agency, a top 10 bicoastal talent & literary agency. He was an inaugural member of the International Academy of Web Television as well as the Blue Ribbon Panel for the Streamy Awards. In 2012, Martinez was asked to join the board of Digital Music Forum East. He has been profiled in Billboard Magazine. MBJ: What does it mean to be a music “network” on YouTube? Brandon Martinez: The term “multi channel network” is esoteric to YouTube. MCNs are companies that are built on top of the YouTube platform and we have a special network agreement with YouTube that allows us to aggregate channels. Zynga, for example, initially built their games on top of the Facebook platform. This is similar. Basically, YouTube has built tools that allow us to build our company. MBJ: Some have compared you to Vevo. How are you different? BM: We’re the same in that we are aggregating channels. However, we don’t own any of our partners’ IP, content, or even the channel itself. To the everyday viewer, our involvement with our channel partners is pretty much invisible. There’s no rebranding of a channel. We feel that our partners have built really solid brands and/or the artist has cultivated their image. So, who are we to come in and build ourselves on top of their brand? Another way that we are different from a company like Vevo is that we have huge transparency with our artists. When you’re doing a channel through Vevo, Vevo actually owns that channel and they’re uploading all the content for you. We look at ourselves as more consultants or strategists on the YouTube platform. We’re empowering our partners to build their businesses. So they have transparency into all of their views, revenue, geographic data, and all of the information that YouTube makes available. Then there’s also the personal touch. We have channel strategists who work one on one with our partners to build strategies based on whatever they have going on – whether that is a new album, tour, or even just a new video. They want to make sure they’re tagging that video appropriately and that they have all the right metadata in there. Whatever it is, we’re here to help them build their brand and their audience on YouTube. MBJ: YouTube used to represent free marketing for musicians and a path towards making money later. Now, it’s becoming a direct revenue stream. What is YouTube doing to make that into a reality? BM: A lot of things. The YouTube Partner Program allows many musicians to monetize on the platform by running ads. So even if you’re still building your brand and each video that you put up only gets a couple thousand views or a couple ten-thousand views, it’s about aggregation and the long-term. The more content you post, the more people will start tuning in and find you. This will allow you to build an audience, which ultimately allows you to learn more about your audience and who is watching your video and then serve them better ads so that they’re more engaged with the advertising. We try to help our partners realize that if they’re on Spotify, Rdio, MOG, Deezer, or whatever it is, you should be on YouTube as well. You should put every piece of content up on the platform because there’s an opportunity to monetize it. More importantly, this is the only music streaming service where the more active you are on it and the more you engage with your content and viewers, the more money you’re actually going to make. That’s because you’re actually cultivating an audience there. That can then also translate off-platform as well by having the appropriate metadata in the back-end. For example, as an MCN, we are able to add ISRC codes. The code auto-generates a “buy” link at the bottom right-hand side of the video, which encourages the audience to go buy the single or album on iTunes, Amazon, Google Play, or wherever it’s sold. That was one of the definitive things that we did with “Harlem Shake”. Because we had that ISRC code in there, every user-generated video that was matched to that original piece of metadata also has a “buy” link in there. So even if only a fraction of the 1.2 billion views bought the single, that is still significant. You can also do things with “annotations”. You can annotate out to core sales or a specific thing you want people to buy: merchandise, something on your own website, whatever it is. The important question is: once you have that YouTube view, what are you going to do with it after that? Do you encourage your viewer to go watch more content, subscribe to your channel and tune in every week, or buy tickets to your tour when you’re in town? You have to think about it as a long-term process. MBJ: Before “Harlem Shake” went viral, you already had a partnership in place with Baauer’s label, Mad Decent. Did you suspect that the song would go viral? BM: No, we definitely never expected that specific song to go viral. But it’s about preparation. You never know what’s going to take off when. Another Mad Decent partner, Rusko, is really popular internationally, especially with gamers. So we get a lot of user-generated videos where gamers are literally showing the number of kill shots they’ve gotten on Call Of Duty with a Rusko song playing in the background. Diplo has a song called “Express Yourself”. In the video he has a girl standing upside down doing the booty clap. And it became a thing across the Internet where girls started posting videos doing that dance move to his song. All these things just sort of take off on their own. 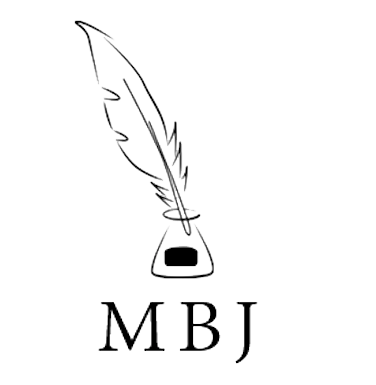 MBJ: INDMUSIC launched in August 2011 – tell me a little bit about how you got started and about the members of your team. BM: We have a team of four full-time and we’re slowly building an army of interns. And because we’re growing, we’re hoping to bring them on board soon. In terms of how we started, I was actually a talent agent in L.A. – one of the first digital agents that was out there. I ran the digital department for Abrams Artists Agency, primarily working with writers, directors and producers and big YouTube channels. I was one of the first agents to do deals with Machinima, which was one of the very first multi-channel networks on YouTube. Allen Debevoise is their CEO and I got to know him well. He also invested in some other companies including StyleHaul, which is a fashion/beauty network and DanceOn, which is a dance network. I did deals with those companies as well and so I kept running into Allen. We built a friendship from there. We had dinner one night and talked about these niche markets within YouTube and it dawned on me that I have always been a music guy at heart. I realized that there were opportunities in the music space related to what Allen was doing in other niche markets. I brought on board one of my best friends from college, Jon Baltz. Jon and I had booked bands and shows when we were in college. We actually became friends arguing over bit rates of MP3s when that was still a thing. Jon has also been in bands, managed bands, managed venues and is very involved in the music space. There is nobody better that I can think of to work with – I have all these big ideas and he brings me back down to earth. So we put together an idea and pitched Allen on it. Allen was in and brought on Guy Oseary, who is Madonna’s long time manager and former CEO of Maverick Records, and just a really big guy in both the digital and music spaces. And so, the four of us became the cofounders. MBJ: Are you trying to raise funding? BM: Yes, we’re in the middle of fundraising right now. It’s been pretty common to see MCNs build and then raise money when they’re at about the stage that we are at. “Harlem Shake” certainly helped us get to this point. So, we are talking to VCs and also to potential strategic partners. It’s an exciting time. MBJ: Last week, you announced that you have partnered with 9 more record labels and management companies. What does this mean going forward? BM: We’re continuing to build scale. More and more we’re being approached by everybody from publishers to labels to indie artists–and we talk to everybody. A big part of our job is education – letting people know about the system. I think people realize quickly that we’re knowledgeable on both the YouTube and music sides. We do a lot with rights management and so a music company sees a kind of kinship there. I think that the number one question besides “how can I make money on YouTube?” is “how can we get more views and more visibility for our content?” So, promotion is a big focus for us – finding ways to help musicians build their audiences on and off the platform. Our goal for 2013 was to help an artist strike out into the mainstream and we did that in February. So now the next step is to do that again, analyze how we did it, what we did well and what we can do better. MBJ: Can I sign up with you as an indie artist if I’m not affiliated with a label or publisher, etc? BM: Of course. Of the 220 partners that we currently have, about 10% are labels, another 10% are blogs or content-creators (people who do interview shows and things like that) and the rest are all independent artists. Some of those artists are still growing and some are bigger names that have recently gotten their rights back. Even for the artists that already have some sort of deal – whether it’s distribution or publishing or whatever it is, we want to work alongside the music industry and not step on anyone’s toes. For example, if those deals only exist in one territory, we can pick up the other worldwide territories and make sure those are being claimed. And/or we can possibly do things better, so we can pay you and then you can pay your distributor. This puts the power back into the hands of the artist or the label. We’re also receiving a lot of questions and phone calls from distributors and publishers who are curious to know if we can help them do a better job of understanding the YouTube landscape and scale it better. So we’re combining forces. They have the scale, artist, and rights and we have the know-how, the ability and execution. MBJ: So if I own rights to music, what does it mean to “partner” with you? Do you take any ownership/control of my copyrights or do you simply collect a commission based on whatever money you can bring in via YouTube’s ad revenue? How are the deals generally structured? BM: Our deals are very straightforward. It’s all revenue-share. There’s never any upfront cost, you don’t pay us any money. We collect a percentage of the revenue that comes in from YouTube. We focus so much on the optimization of a channel because that’s how the revenue is going to increase. Without a network, the CPM (cost per thousand viewer rate) of your video is typically around 25 cents. When you join a YouTube network, that CPM can rise up to about 5 dollars or more. If we can get you above that $5 mark, we feel that it’s the active work on our part that’s helping the revenue increase and so we move to a rolling scale from there. Those higher revenues really only come when you’ve been working on your channel and are actively trying to build it. You can’t simply join a network and watch your CPM majorly increase. Those higher CPMs are out there, but only when you’re active on your channel and trying to build a presence. MBJ: How do CPMs work? BM: CPMs are based on a lot of different things and Google/YouTube never reveal what that secret sauce is. But the more active and engaged you are on your channel – whether that’s posting content or even just commenting back to your partners or on other peoples videos, “favorite-ing” or “liking” things – you’ll see an increase. It’s about building an audience on your own channel so that YouTube has more information about who that audience is so that they can better serve ads. MBJ: In closing, the Internet has historically been a scary place for musicians. It has turned the traditional music business upside down and there is a lot of debate surrounding the royalties paid out by Internet streaming services. On the other hand, many of those online services are struggling to break even. Sometimes it seems like there isn’t enough money for anybody. Do you think that the work you’re doing with YouTube can help pave the way for healthier relationships between content holders and online services? BM: Absolutely. There are two critical points here. One is about the aggregate. The music business is no longer just about selling a ton of records. Rather, it is a combination of efforts including touring, sales, streaming, merchandising, licensing, etc. All of those different things play key roles in the success of an artist today. And, I think that as one of those takes off, you’ll see the others take off as well. So it’s about a combination of services and also about artists wearing their entrepreneurial hats and being actively involved in the business side of their career. Two, we’re helping with that by being transparent. We’re providing our partners with information and data that will allow them to build their own audience, grow their revenue streams, and really see where that growth is and how they’re growing. I think that if artists do their part and we do our part, they’ll see that value, increase that revenue stream, and also increase other revenue streams across the board. Can INDMUSIC monetize an artist’s VEVO channel or it has to be a YOUTUBE channel only?